Every year we like to put up a little preview of the games coming out over the coming twelve months. In a way this article has become easier, as companies have made an effort to start promoting their games far in advance of their release. But it's also become more difficult, as the rise of Kickstarter has meant that games that are announced hit Kickstarter and don't hit our tables for a few years, don't fund and so have to relaunch or even don't turn up on Kickstarter at all (it’s been 2 years since we mentioned Chronicles Origin and we still have no idea if that game is even coming out). This year we’re going to do things a little differently, breaking the 2018 preview into three lists, the first (this one) will cover games that are coming to Kickstarter over the coming year (or even this week!) 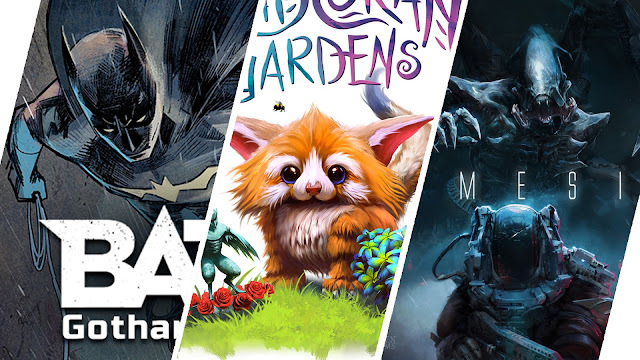 The second will address those games have already funded on Kickstarter (that we here at Polyhedron Collider have backed) and should be releasing over the next twelve months, and the last will be those games that publishers have announced. Of course we can't mention every game, but here’s a slice of gaming action that everyone here at Polyhedron Collider is excited to get to the table. 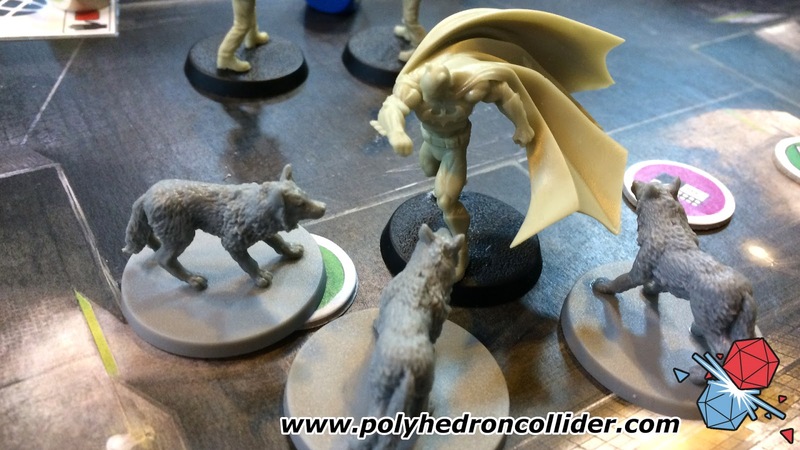 Andy and I have already played Batman: Gotham City Chronicles and if you've played the Conan Board Game from Monolith, there is a good chance you have too, because Batman is based on the same system. 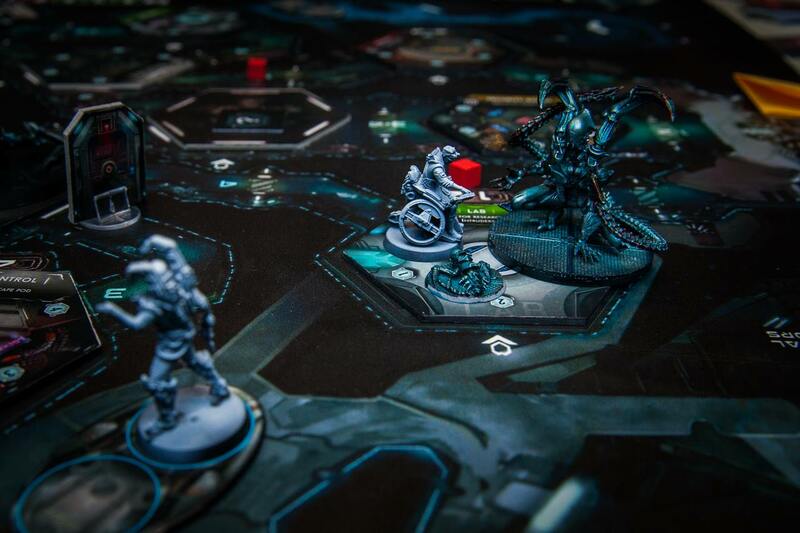 It's more than just a re-theme, however, with scenario driven games where batman and his team of allies will fight off against one of Gotham's crazy villains and their gangs of henchman. 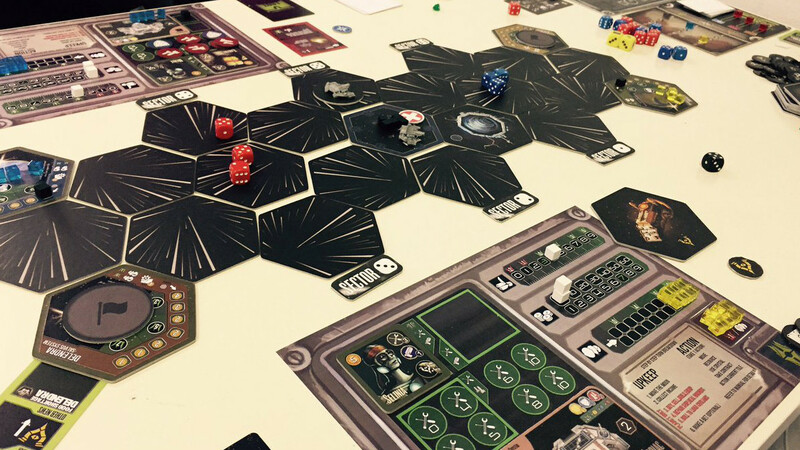 What we played at the UK Games Expo cemented it as a rich and thematic action game, full of dynamic narrative. A little warning though, this is not going to be cheap the base games is going have a base pledge level of around $140 and all-in will be around $300. So you might want to start saving pennies now! The inclusion of Nemesis on this list may be seen as an indication that I have got this article out as early as I originally planned. Regardless, Nemesis is another game we saw at the UK Games Expo (and a game that has been on this list before). Unfortunately we didn't get chance to play it, and at the time the game was heading for retail, but Awaken Realms (of This War of Mine fame) have taken on the game and brought it to Kickstarter last week! Does a reprint count on this list? Well since its my list and I'm making the rules (as I go along), I think it does. Endeavour holds a special place in my gaming history. It is the first game I ever played at the Worcester gaming group that was arranged via Boardgamegeek and so was the first game I played with a wider group of players and it introduced me to a huge amount of new games and new friends. Endeavour is about that most controversial of gaming themes at the moment, Europeans colonising the world. You'll head out from Europe, exploring unknown lands and opening trade routes in a system that's simple but also full of interesting decisions and a little bit of chance. Colonisation isn't the only controversial thing about Endeavour, because the game also includes slavery, and its the most historically accurate depiction of the history of global slavery that I have seen in a game; the more you utilise and industrialise slavery the more profitable it becomes, but get too greedy and slavery will be abolished as public perception moves against you. For a lot of people Endeavour's themes are going to be a difficult thing to swallow so there is always the possibility that the reprint coming to Kickstarter later this year will change some of those themes, we will have to wait and see. Defection may be the best game I have never played. I don't know for certain because at two separate gaming conventions I have spectacularly failed to play a demo game and each time I have been told by other people just how ace it is. If I still haven't played this after City of Games, then I think the designer is going to drown me in the Severn. Defection is all about going it alone into the depths of uncharted space. Head out into the black and hopefully grab some loot to plunder and then sell on, while blasting your way through anything that tries to stop you. 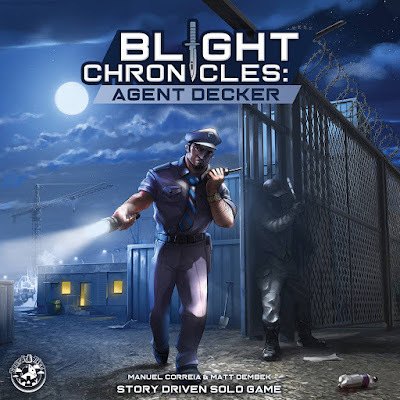 At least I think that's what its about, as I've never played it, but everyone who has played it at both Airecon and the UK Games Expo, especially the folks from Geeknson, were singing its praises. If the Resistance presented us with a dark vision of a dystopian future and a game of hidden information set within, NewSpeak goes considerably further, darker and more cunning. The world as we know it is an illusion powered by government controlled augmented reality and as a team of dissidents in this bleak future your goal is to hack into the AR and present the depressing reality of the world around you to the public. To achieve this the dissidents will have to communicate with their fellow rebels the location of this hack without letting their opponents, the moderators, work out where. To do this they will communicate via a series of preset codewords but try not to be too obvious with their discussions. If this sounds a little bit like Spyfall, then that's because it probably is, but the twist here is that there are no secret identities and so the dissidents must communicate the location with their team without the moderator catching on. There's a layer of skill required, as not only do the dissidents need to ensure that their team are attacking the right location, they have to do this is in such a way that the Moderators don't understand the same clues. 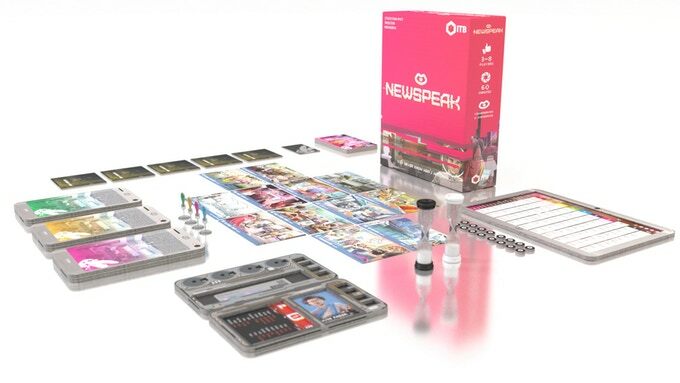 We have a review copy of Newspeak at the Polyhedron Collider offices so will be reviewing it soon (and we'll be bringing it to City of Games). The Roman Empire is falling, the Emperor is dead and the wealthy and powerful families are vying for position to become the big cheese. That's the premise of Donning the Purple, the latest game from Trompet games. Set during the latter days of Rome, you will attempt to make yourself Emperor and stay in power for as long as possible, knowing that your opponents are going to be sharpening their knives ready to oust you. Donning the Purple is being touted as a king of the hill worker placement game. There are loads of victory points up for grabs for being the Emperor but that does paint a rather large purple target on your back. King of the Hill suggests some pretty serious aggressive gameplay, whereas worker placement suggests a gentler and more gentlemenly game. We're hoping its the former. 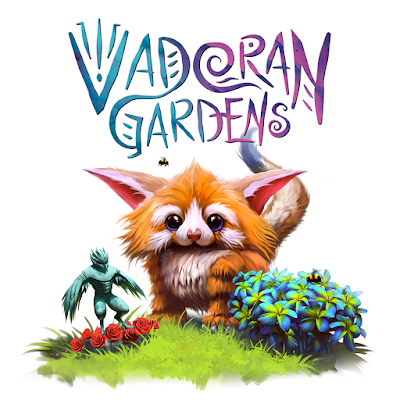 We get a lot of questions about solo gaming on the Polyhedron Collider Cast, so its only fair that we make you aware of an upcoming solo deck-building game from our crazy friends at Board & Dice. 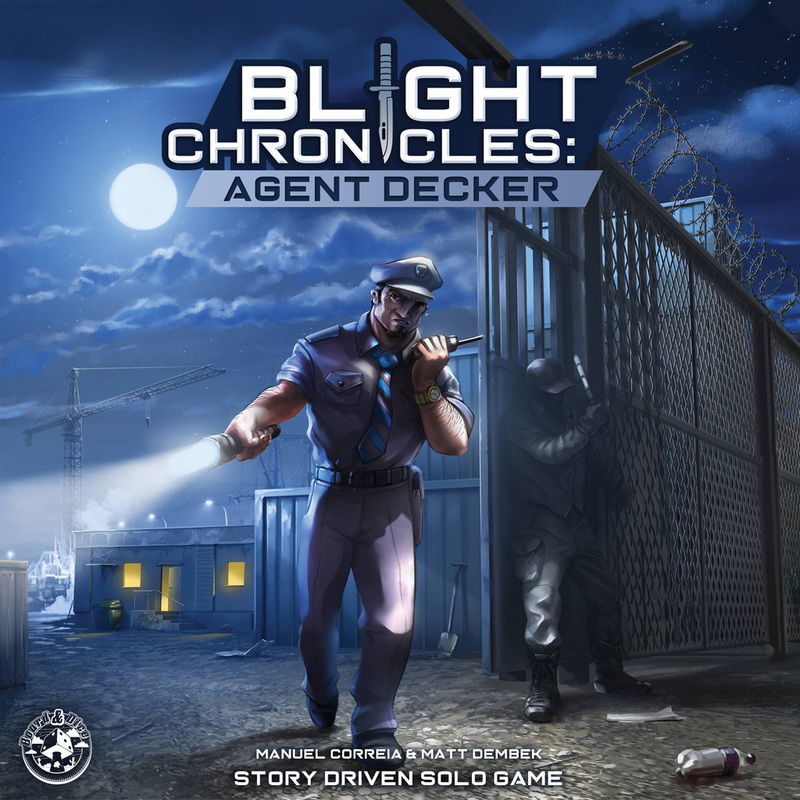 Blight Chronicles: Agent Decker has you taking on the role of a secret agent as you attempt a number of story based objectives. Stealth is the aim, as you attempt to infiltrate secret installations and do all manner of spy-ie stuff without alerting the guards. I don't really know much about the mechanics at this time, but I can bet the aim is to manage your deck of actions and keep noise and alarms out of the deck. Board & Dice have promised a narrative game with an emphasis on story, so even though this is coming from the designer of Superhot, I'm expecting it to play a little differently. 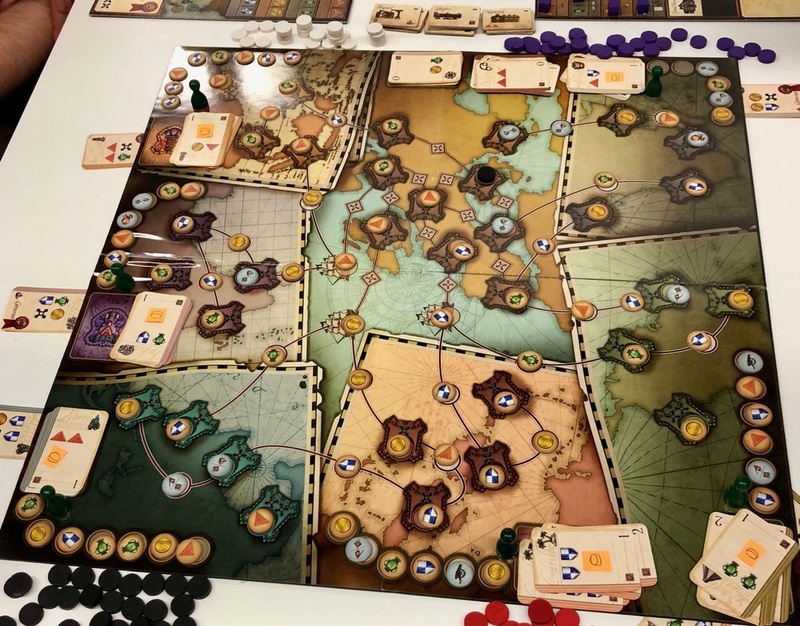 I think I can confidently say that all three members of the Polyhedron Collider team loved City of Kings, and I know we are waiting impatiently for its delivery. Which means we are very excited to see what City of Games designer, and convention organiser, Frank West has in store for his next two games planned to be released this year. I must be be honest I don't actually know these are being released via Kickstarter but since Frank funded his last game and a convention on the popular crowd-funding platform I'm going to stick my neck out. I've grouped these two games together, because quite frankly I don't know too much about either game. Both are tile laying games set in the world of the City of Kings, but they also sound quite different. Rising Blades will have players taking on the roles of the bad guys. You will have to explore and destroy, spreading your evil influence over the land. With each faction having different abilities and skills (and possibly different routes to victory) it sounds like this could be an interesting asymmetric game. 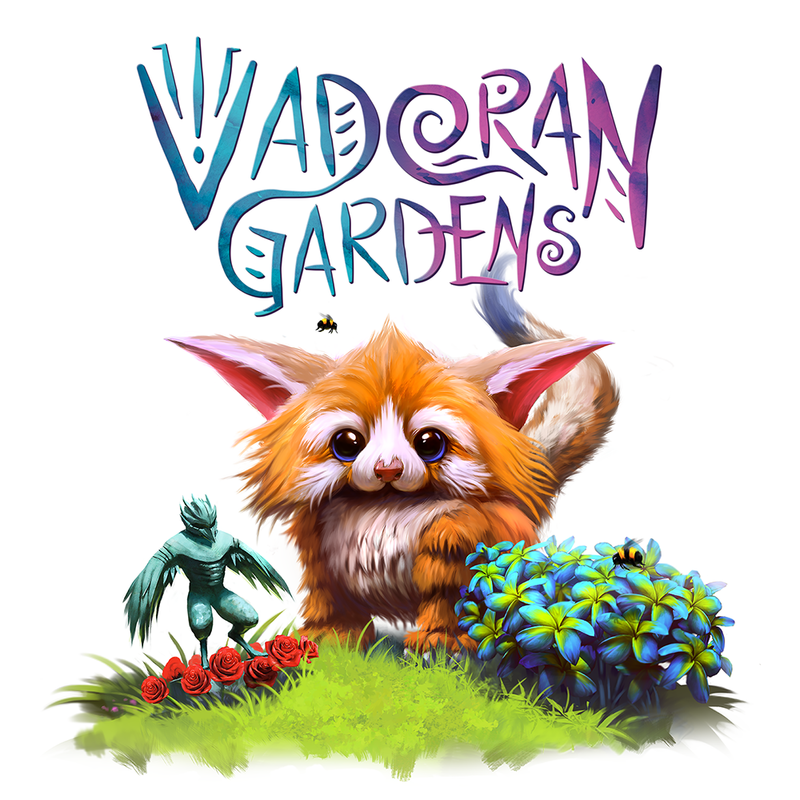 Vadoran Guardens is also a tile laying game, but here you'll play someone much more pleasant. You are exploring a temple and have to navigate the gardens on your way to the holy site and enlightenment. We're hoping to play both games over the coming months and should be reviewing the games just before their Kickstarter release. What’s long, hard and full of seamen? A U-Boat of course. I don’t know what else you could be thinking. Double-entendres aside, I got a decent poke about this quite literal underwater cigar tube with the lovely chaps at Phalanx Games at the UK Games Expo. 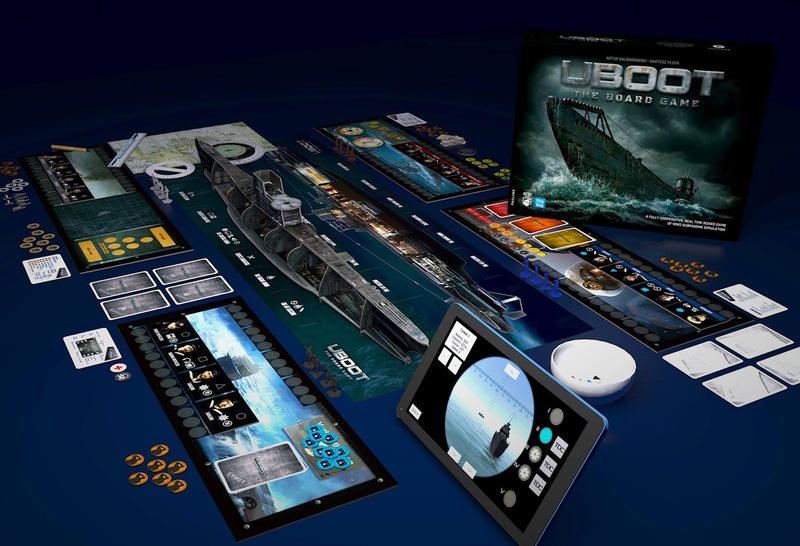 UBOOT is a rather detailed and accurate simulation of a German U-Boat set in the 2nd World War. And I mean detailed. Right down to the use of a protractor and compasses to plot the next course on the map. Work out your intended bearing by the use of GCSE maths kit and tell the app (oh yes, there’s an app) where you want to go and how fast and it’ll set sail. As the captain of the sub-aquan canister, your job is to give orders to the crew without stressing them too much – too many orders within a shift change will demoralise them, leading to inefficiency. Phalanx have really gone to town on the realism here right down to actual issues seen on subs of the time, faults, medical issues, enemy boats and so on. The app tells you where you are, what you can see and fires off incidents just in case you weren’t paying attention. It’s all very tense and exciting – so certainly not for the casual gamer. UBOOT is on Kickstarter now. Join us next time as we discuss the games we (and when I say we, I mean mostly Andy) have already backed on Kickstarter and are waiting for impatiently.